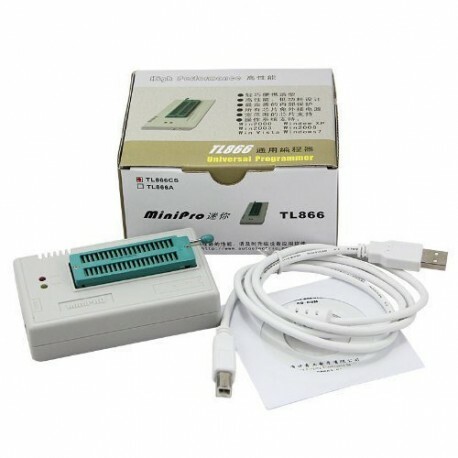 This programmer is well-designed with high-density SMD technology. An unified user interface, easy to use. Fully functional, reliable program running of application software, ultra-small code，runs faster. Supports a variety of models of 51 series of microcontroller, AVR microcontroller, including ATMEGA series, ATtiny Series, AT90XXX Series MCU, MICROCHIP PIC10 PIC12 PIC16 PIC18 MCU, programming of GAL programmable logic device, SRAM test, 54/74 and CMOS4000 series IC comprehensive function tests. Support a wide range of chips: All kinds of 26, 27, 28, 29, 37, 39, 49, 50 parallel ROM, EPROM, EEPROM, 24, 25, 35, 85, 93, 95 Series EEPROM, Serial parallel ROM chips, fully supporting to the 48-PIN chips of 64Mbits capacity. Automatically identify the operating system to install and run under WIN 2000/WIN XP/WIN 2003/WIN 2008/WIN VISTA/WIN7. 40PIN universal pin: Don't need to move or turn around the chip when programming. 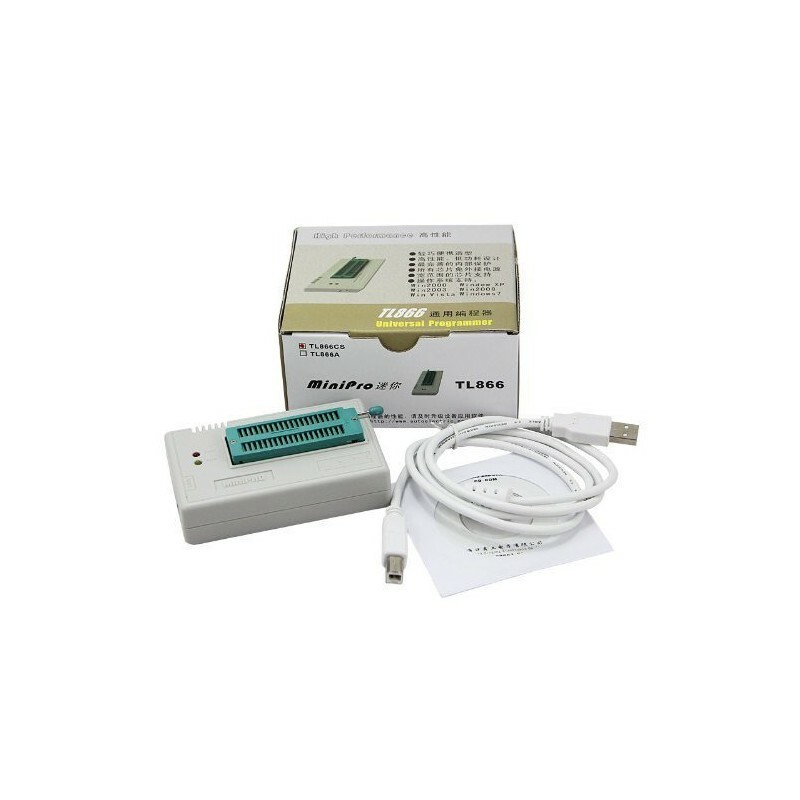 *High Speed Programming：Built-in MCU with high-performance and high-capacity USB interface ，at the communication speed of 12Mbps， being in line with (For each chip) well-designed programming algorithm and USB high-speed communications. *Unique ultra-low power: Equipped with the ultra-low power chips and power supplied via USB interface. Hardly feel the heat of the programmer after such long continuous work. *Portable performance: Lightweight and exquisite, and no need to carry with an external power supply because of its ultra-low power that makes it more portable. 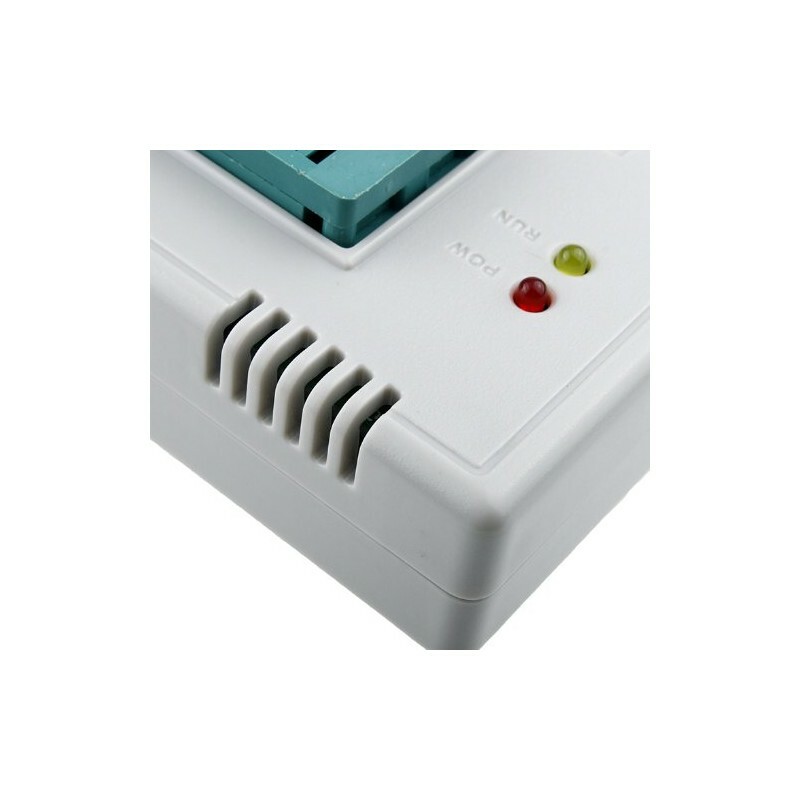 *Overvoltage, overcurrent protection: VCC, VPP power supply of the Programmer is furnished with the independent Grade 3 overcurrent protection and the protection of automatically cutting off power supply. 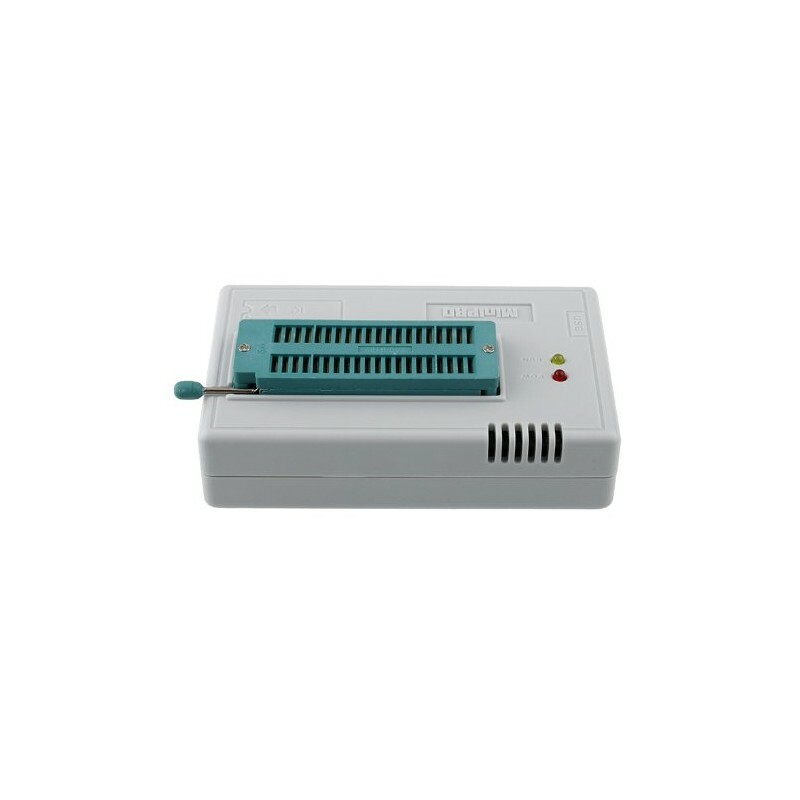 *Second development function of chip serial number： Has a variety of automatic numbering functions that are used commonly. *Equipped with upgrading Function of the built-in hardware firmware program that can make sure your programmer's firmware flash and application software can be timely updated. *Programmer self-testing function: Can test itself on each pin of VPP, VCC, GND and I/O information, at the same time it can run an inside short-circuit test on VPP, VCC current. *Superb 54/74F/LS/HC CMOS4000 series IC functional tests. *Unified and convenient user interface.